Shooting time: up to 1 hour, including wardrobe changes. The time can be extended for $15o for each additional hour within the same session. Images: 10 professionally edited and printed images accompanied by high resolution digital files. Additional images may be available for purchase. Promotional price: $375 (For up to 3 people). More people can be booked in the same session for additional $100 per person. 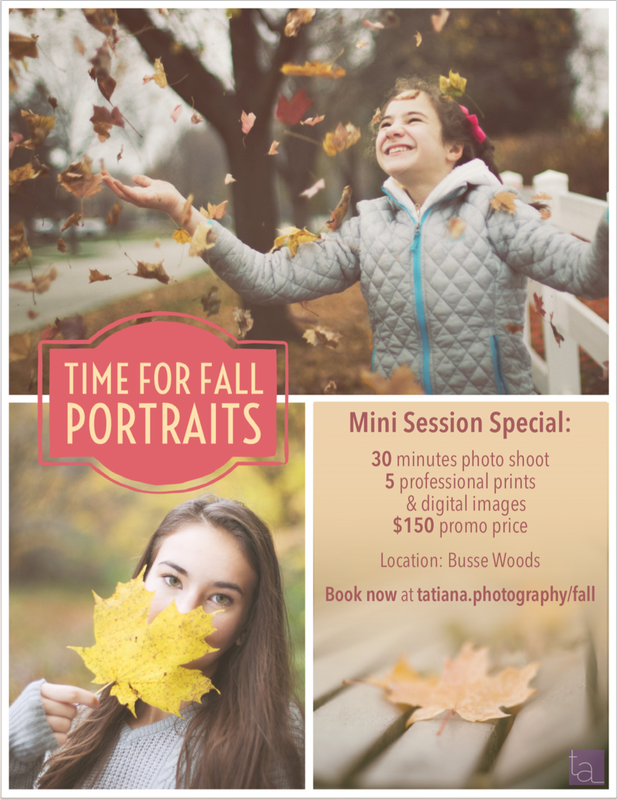 Mini sessions are available on the weekends from October 14 through November 11.